If you are looking for simple and cute appetizer for Easter, then look no further! This is as easy as it gets, yet looks super adorable! Try it and I guarantee it will be a hit! You could pair this appetizer with an Easter bunny bread filled with dip. Then you have a bunny and his carrot. Also, you can eat the veggies from the carrot with the dip. Happy Easter! 1. Arrange slices of carrots in a narrow triangle shape. 2. 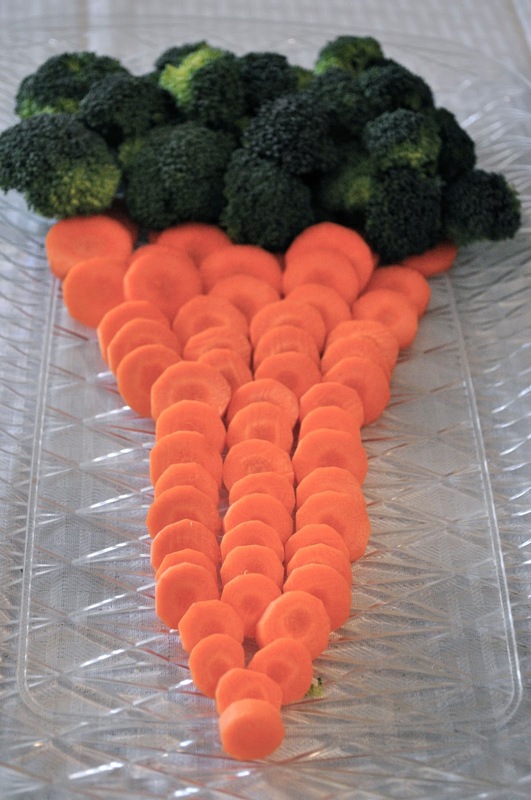 Add broccoli florets in a heaping pile at top of the carrot triangle to make the carrot! That's it! Like I said. Easy. Cute. Perfect.